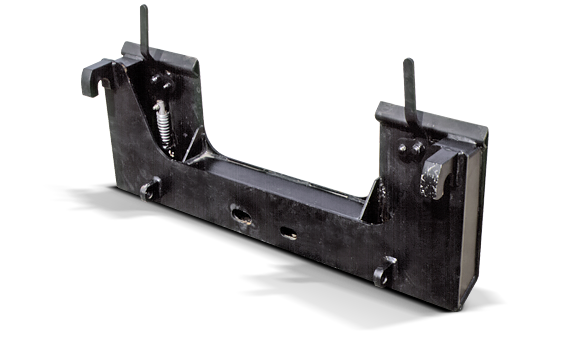 Allied builds rugged attachments for all your commercial needs. Whether you need a skid steer or tractor configuration, Allied makes all large jobs easier. 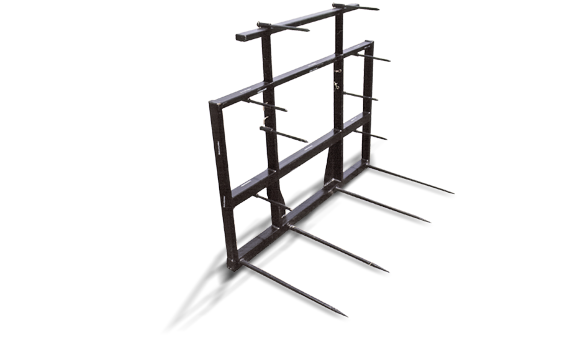 Products range from commercial grade snow blades to hay handling forks and grapples. Attachments are coated with a three-part paint process to ensure many years of maintenance free service. 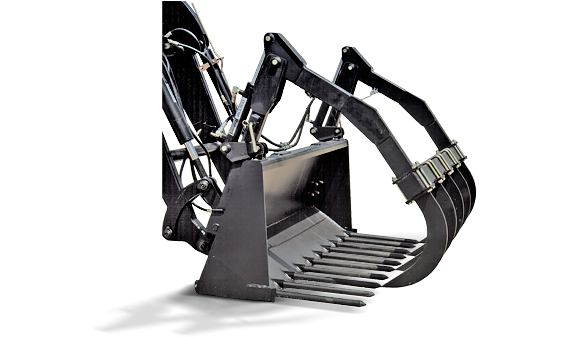 Allied loader attachments can be fixated to any loader or skid steer model currently on the market. Simplicity and ease of use have been built into Allied for many years. Join in the tradition of quality Allied products and have them working for your operation today. Spear Lengths 32" / 49"
For loader models 95, 195, 295, 395, 495, 595, 695, 2495, 2595, and 2596. Ideal for round bales. 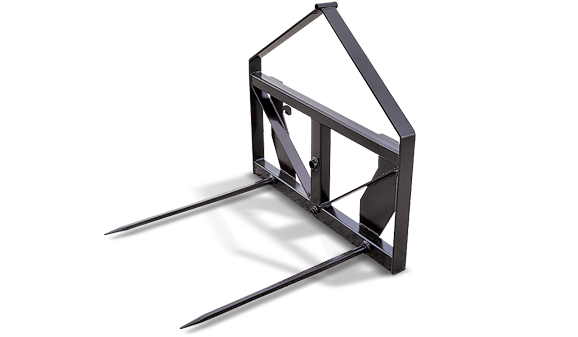 Skid steer A Frame also available. Spear Lengths 32" / 49" 32" / 49" 32" / 49"
For loader models 395, 495, 595, 695, 795, 2495, 2595, 2596, 2795HD and 2895. Available in skid steer and Euro style models. Spear Lengths 32" / 49" 32" / 49"
60" for loader models 595, 695, 795, 895, 2595, 2596, 2795HD and 2895. Designed for round or square bales. 75" model designed to handle 6' plus diameter round bales. 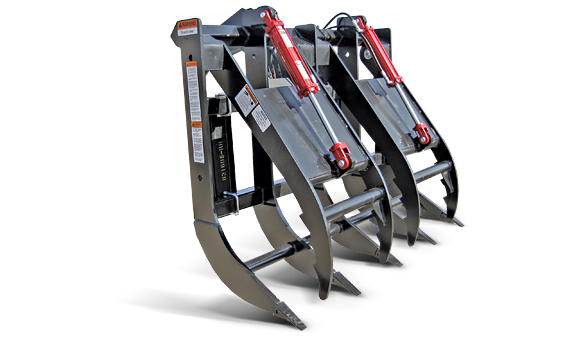 Available for all loader models and designed to fit on all ‘A’ frame models.. Forks available in 48" (4,400 lb capacity) and 42" (2,000 lb capacity) sizes. Available in 48", 60", 72", 84", 96" and 100". Capacities range from 6.3 cu. ft. up to 1.19 cu. yd. Available in 84" and 100" sizes. Capacities range from 1.35 cu. yd. up to 2.25 cu. yd. 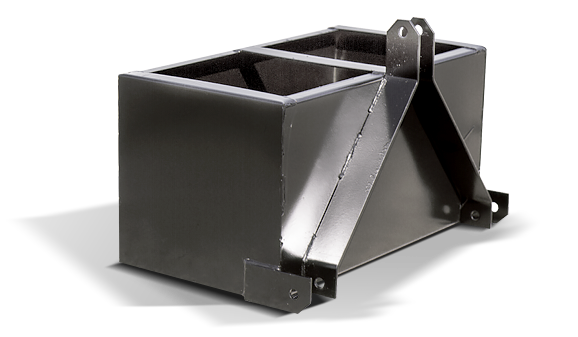 Comes standard with 84" cross tube to fit on 84" and larger standard and large capacity buckets. Also designed for 85" manure bucket with ten tines as shown here. 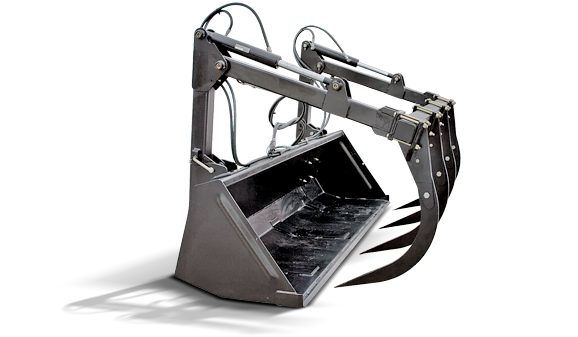 : Grapple comes standard with 84" cross tube to fit on 84" and larger standard and large capacity buckets. Specifically designed to handle 6' plus diameter round bales. 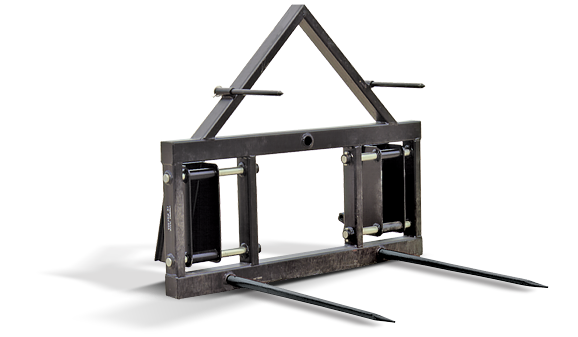 Non Quick Attach grapples are specifically designed to handle 6' plus diameter round bales. 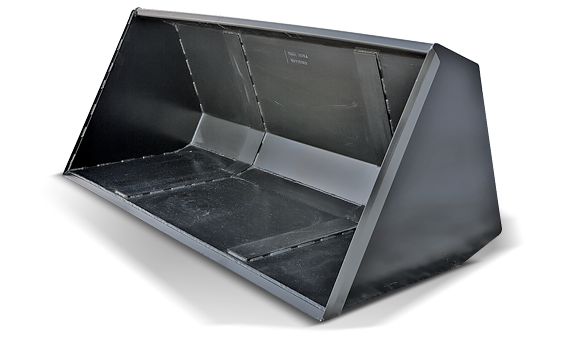 Comes standard with 84" cross tube to fit on 84" and larger standard and large capacity buckets. 50" grapple opening. 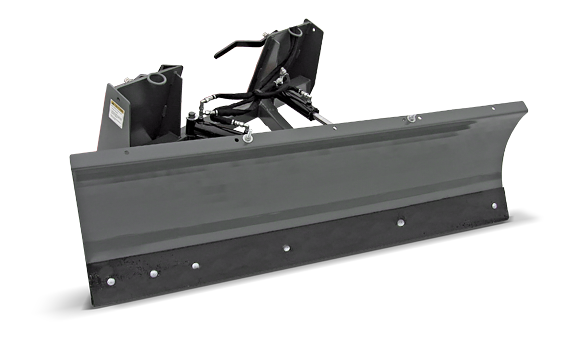 Available in skid steer or tractor mounting configurations. Replaceable weld-on tine points. For models 895, 2495, 2595, 2596, 2795HD, 2895. Up to 8 additional stabilizer spears. 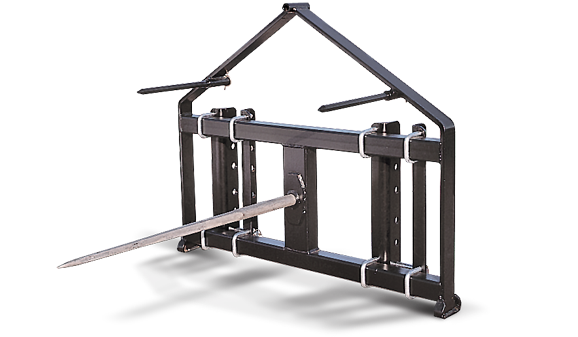 Telescopic extension kit - for up to 3 square bales at a time. For loader models 395, 495, 595, 695 and 795. 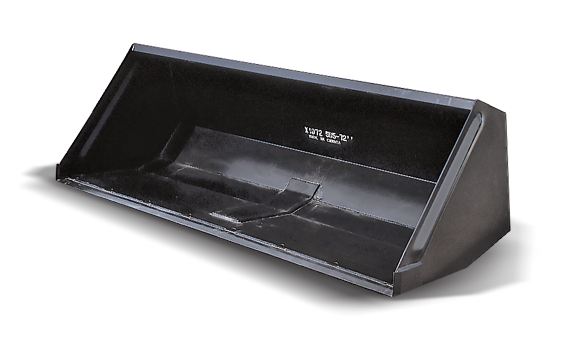 Euro and skid steer mount available. Designed for round bales, wrapped or dry. Both arms hydraulically open to clamp the bale. For models 95, 195, 295, 395, 495, 595, 2095, 2195, 2295, 2395, 2495, 2595 and 2596. 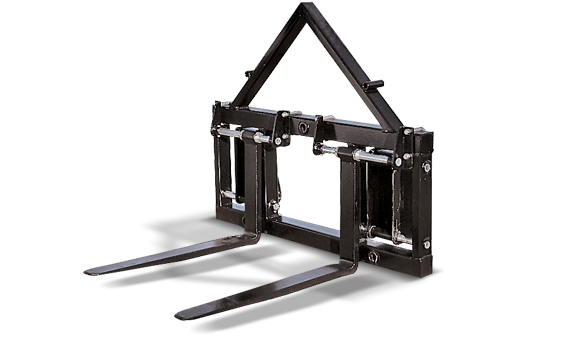 Allows the user to pick up any skid steer attachment. For loader models 95, 2095, 195 and 2195. 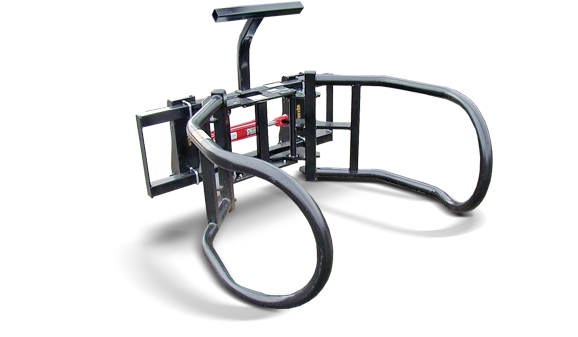 Provides weight to the rear axle, which in turn increases the stability and traction of your tractor. 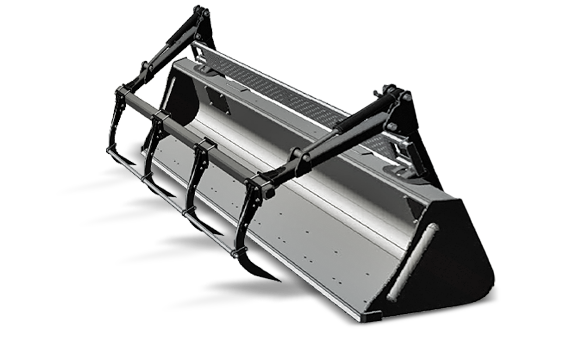 The snow blade can come equipped for a front end loader or skid steer configuration. It is constructed using 3/8 inch by 6 inch cutting blade.